Megatypers is one of the best and top captcha job site. Because this site provide best rates to typers compare to other captcha entry sites. You can earn b/w 0.45$ to 1.50$ / 1000 correct captchas. Now they are paying 50% more for speical captchas. (image captchas where you typers need to click correct images) it is more easy rather than typing.you don’t need to type hard. Just use mouse and select correct images. That’s all. But you need to be careful in selecting right images. You must solve captcha in 15 seconds. Otherwise you will be kicked out. 2captcha is also one of the best and genuine captcha site where typers can earn decent money. Captcha rates are quite low as compare to megatypers. Typers can earn b/w 0.35$ to 1$. Beginners can earn in avg of 0.45$ to 0.50$/1000 solved captchas. but captcha loading speed is very good. If your typing speed is good then you can hit 1000 captchas in an hour. For beginners 2captcha is the best site to start working with. Because you will get 45 seconds to solve captcha. That’s enough for begginers. Protypers is same as megatypers. You can login to protypers using your megatypers login details. Everything is same. Don’t know why they have made 2 sites with same features just difference in name. Here also typers can earn b/w 0.45$ to 1.50$ / 1000 correct captchas. 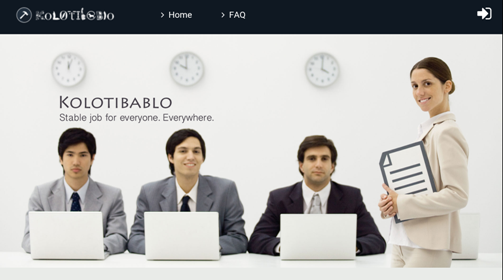 Kolotibablo is another genuine captcha job site where typers can earn upto 1$ / 1000 correct captchas. But the average earning for begginers is b/w 0.30$ to 0.50$/1000 captchas depending on the bid. Kolotibablo has a good reputation and always pays to employees without any issues. But typers must type images correctly. You will get few chance. If mistakes repeats then you will get your account ban. qlinkgroup is also one of the genuine captcha entry site. It provide good captcha rates to typers. Typers can earn upto 1$/ 1000 solved captchas. Good thing about qlinkgroup is good captcha loading speed & pays in weekly basis. Ie., every Friday. 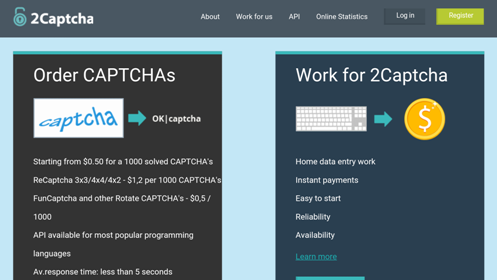 Captcha2cash is another good captcha entry job site. Here typers need to download the latest software to start the work. Once the registration process completes you will be instructed to download the latest software. Captcha2cash pays typers 1$/1000 correct entries. It is fixed. If you have a good internet connection with good typing speed you can earn decent amount. § Captcha loading speed – Average. § Payment processor – Payza & Perfectmoney. Don’t pay anyone for registration. Because captcha2cash is free. Here is another genuine captcha entry site. Typers can work both on the server or they can download software to start work. Here typers can earn upto 1$ / 1000 captchas. This may vary depending on the hourly rates. There are so many scam sites are available in the name of captcha sites. Don’t pay anybody for admin. captchatypers is free. For new account registration you need to send mail to admin@captchatypers.com. Once they approve your request then they will send you mail with login details. Afterwards you can start working. FastTypers is also a good captcha entry site. to request for an admin/team leader/manager/master account here typers need to submit the following documents to admin. 2. A copy of utility bill (electricity, GAS, Phone bill etc.). 3. Primary phone/Mobile number, include an alternative number if available. Joining Virtualbee is not easy. you need to complete typing evaluation tests & you must score high. even though if you score 90% to 100% in evaluation there is no guarantee that you will get the invitation to join. as far as the reviews about virtual bee most of the members waited for months to get the invitation to work for virtualbee even after scoring 100%. if you want to join quickly & want to start earning immediately, then stay away from this site. Still it is a genuine site, so its worth joining this site. 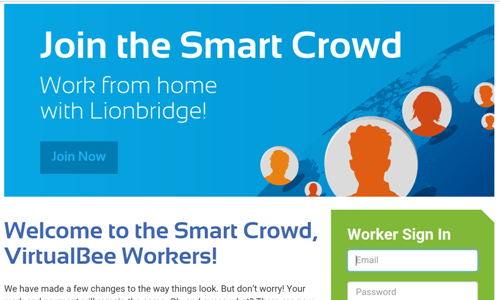 first you need register for new account at smartcrowd to complete the evaluation test. if your score is good & if they want to hire you, then they will send invitation to you via E-mail. most important thing here is you need to have patience. Captcha entry sites are best to start working with for those who are looking for online data entry jobs. because there are so many scam sites are just floating through online nowadays. its a bit difficult to choose the right one. above mentioned sites are genuine & paying their employees without any issues for a long time. best advice that I can give is to earn money through online you need to have patience. If you work hard then you can earn around 10K to 20K monthly.with these captcha sites. I’ve been taking paid surveys online since 2010 and have earned over $274,000 JUST from paid surveys. I know that might seem hard to believe, but it is 100% true and verified. Large multi-billion dollar corporations need your feedback and suggestions about their products and are willing to pay huge sums of money to get it. For more info please click on the following link: Learn how to make Survey Money online? And I am going to show you how to take your first $50 paid survey. Discover how 1,000's of individuals like YOU are working for a LIVING by staying home and are living their dreams right NOW. Just received my check for over $500. So I took a video of myself getting paid $500 for doing paid surveys to finally set the record straight.